Have you heard of Aromatic dressing? It was not something I had heard of either.... until Essential Oils came into my life. 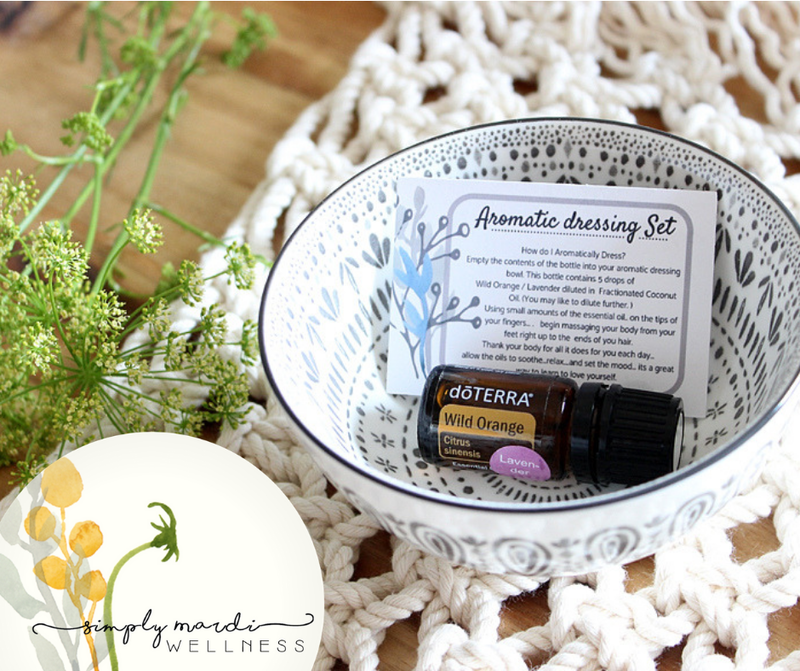 Aromatic dressing is a beautiful self care ritual which involves adding Essential Oil blends to a carrier oil...and then dipping your fingers and massaging into the body from feet to hair tips...and as you go.... thank you body for the work it does for you each day. I highly recommend you visit Vanessa Jean at Food Alchemy - Vanessa talks about Aromatic dressing in such a beautiful 'self loving' way.... I know you will enjoy it. A small suitable bowl - choose something smallish... ceramic or wood. Fractionated coconut oil or a similar carrier oil. I used an empty Essential Oil bottle and then added 10 drops total of Essential Oil (my choice was Wild Orange and Lavender) ... top the bottle with fractionated coconut oil. 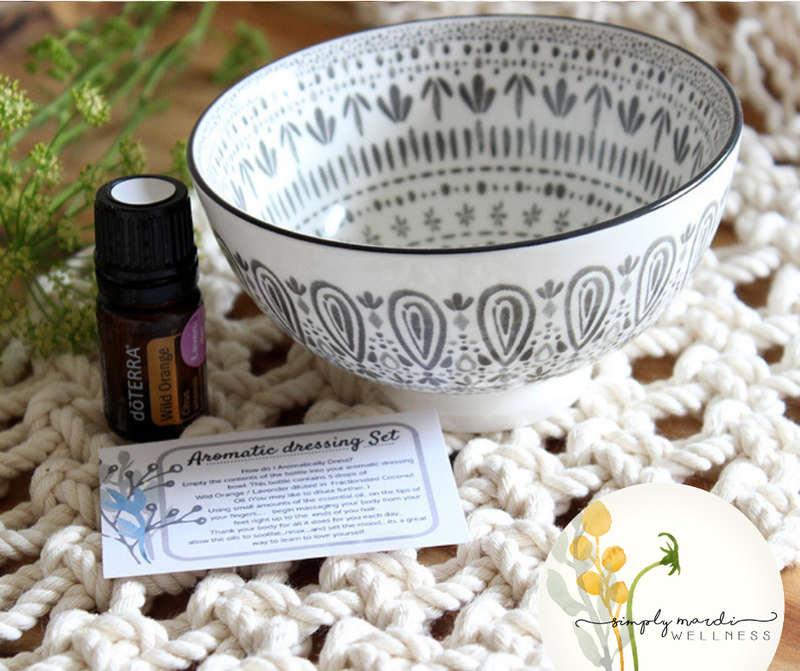 I created a small instruction card and included into the bowl with the oil.... and then wrapped it all together in cellophane. I made mention that you may like to dilute this blend further ...it will help increase the volume of oil in the bowl. Its a lovely way to gift something a little different. If you are interested in Essential Oils... or would just like some information... I would love to share.